As the PC market continues to tip further into free fall–with IDC forecasting a 7.8 percent sales decline this year—one Wall Street analyst suggested Tuesday that PC buyers will continue to wait for Windows Blue and the second half of 2013 to upgrade their PCs. In the months before the launch of Windows 8, businesses and consumers waited to purchase new PCs until the new operating system was released. (That’s not special: That’s happened before most of Microsoft’s milestone OS launches.) With Blue, Sterne Agee analyst Vijay Rakesh suggested Tuesday that history will repeat itself again. The difference this time around is that those same buyers are waiting for what’s technically an interim upgrade, albeit one that Microsoft has said is being introduced to solve some of Windows 8’s concerns. IDC’s report shies away from blaming Windows 8 itself for this slowdown. Instead, it notes that consumers and businesses are simply replacing PCs less frequently thanks to the availability of smartphones and tablets. Within the business environment, employees that brought laptops from home—the so-called BYOD phenomenon—meant that companies didn’t need to buy as many of their own PCs, cutting purchases further, IDC said. In his report, Sterne Agee’s Rakesh claimed that PC build orders were “tracking softer” than expected, which he attributed to the anticipation for Windows 8.1, also known as Windows Blue. June PC orders are now expected to be down versus last year, he said, and third-quarter orders should be three percentage points less than previously expected, or up 3 percent to 5 percent from a year ago. 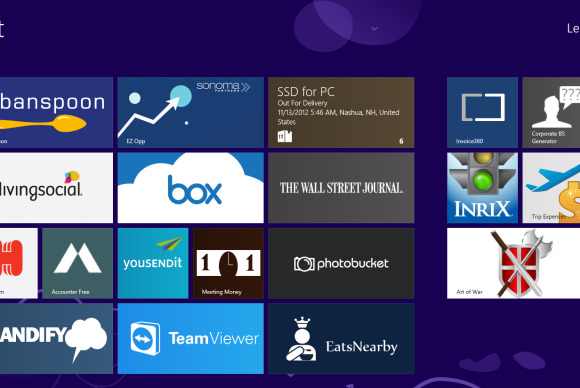 Rakesh said he believed that Blue would be released in October, a year after Windows 8. But until PC makers see some evidence of that date—and that Blue satisfies customer concerns—they’re taking it slow. ”We believe similar to the Win8 launch last year in October, which held back PC OEMs and ODMs from aggressively pushing PCs at back-to-school, a Win8.1 refresh could be holding the supply chain back,” he wrote. And it won’t be helped by a launch of Apple's next-generation iPad, also set for this fall, Rakesh said. Next week, the world’s computer and component makers will gather in Taipei for Computex, the annual trade show that helps set the tone for the computing market. Asus chairman Jonney Shih launched the EeePC netbook there in 2007, and various combinations of phones and tablets have debuted there ever since. Taiwan is also the home of most of the industry’s ODMs, the unnamed Original Device Manufacturers who actually build the PCs for companies like Dell and Hewlett-Packard. Rumors flow through Taiwan quickly, like the torrential rains that drench the island during the rainy season. But sources at those ODMs usually have a good sense of where the PC industry is heading. Reports have indicated that Intel’s Haswell chip is also expected to launch soon, most likely timed to coincide with Computex. The Haswell family of chips offers up to 50 percent more battery life than Intel’s previous-generation processors, the current “Ivy Bridge” chips, Intel recently said. AMD plans its own response to the Haswell onslaught, with the Temash, Kabini, and Richland chips. Rakesh said that he didn’t believe that Haswell would have as much impact as the Windows 8.1/Blue refresh. Loren Loverde, IDC’s principal analyst who authored the latest report, said in an email that demonstrating “attractive and capable devices at competitive prices” would be the most important factor in the success of PCs built around Windows Blue, as far as businesses were concerned. Because enterprises typically evaluate a new OS over a period of about a year, they won’t rush to adopt any new upgrade, he wrote. One of the problems that Microsoft faces is that Taiwan isn’t exactly wedded to the PC market. Companies like Asus, for example, originated as motherboard makers, expanding into other segments of the computing business in an effort to expand. Those same companies haven’t shied away from further expanding their businesses by building tablets for companies such as Google. The proportion of tablets to PCs showcased in the booths of big-name Asian hardware makers will be a key indicator of the role each category—tablet versus PC—is expected to play in the months ahead. More worrisome will be how those hardware makers view competition from Microsoft itself. Acer, for example, notoriously complained about Microsoft’s presence in the hardware market, with products like the Surface that competed against Acer’s own Windows tablets. By the end of the month, we’ll know what Windows Blue looks like, when Microsoft is expected to release a preview version at its BUILD conference in San Francisco. It’s a shame that Computex won’t be held after that. The response to Blue, filtered through the actual hardware makers who will be asked to support it, will go a long way to shaping opinion on Microsoft’s OS refresh.